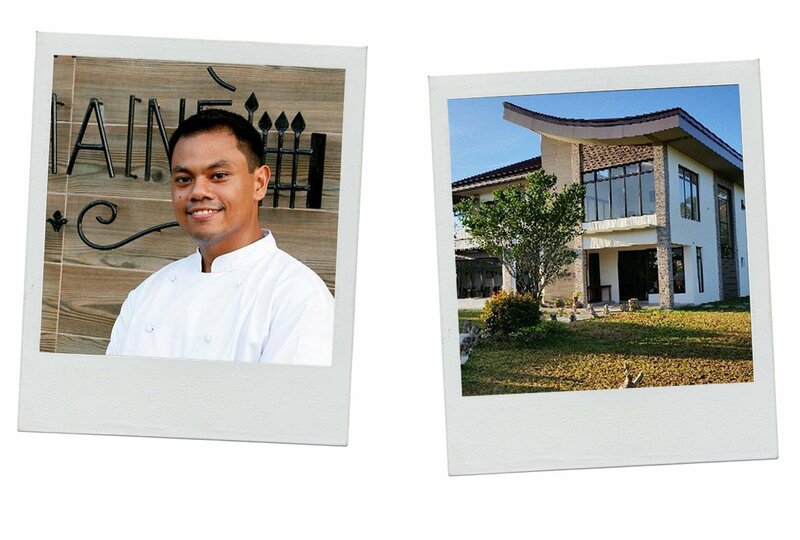 Having earned his Grand Diplôme in 2016 from the institute Le Cordon Bleu, Robbie Ripalda opened his restaurant, The Domaine, in the Philippines, in November 2013. Inspired by his stay in Paris and through his restaurant, he shares his passion but also the French culinary techniques that he learned. As a gourmet myself, I studied cuisine to maximize my understanding of fine dining, and bring my love of cooking to new horizons. My favourite memory is without a doubt volunteering to work directly with the Le Cordon Bleu Chefs for events and other occasions. Chef Patrick Caals, Chef Frédéric Lesourd and Chef Xavier Cotte have made these moments special as they took the time to share their experience and techniques, while responding to my interrogations. It was a privilege to grasp their cooking philosophy. Travelling all the way to Paris from my country and having Chefs accessible and eager to teach made it all worth it. Could you tell us briefly about your career path? How has the Grand Diplôme helped launch your career? After the Grand Diplôme, my whole perception of a career changed enormously. Before I took the programme, I had a beginning, a middle and a final destination ahead of me. In the end, this curriculum greatly expanded the possibilities for a successful career within the culinary arts. But to be more precise with the question, I think my career path was always dedicated to make passion and professionalism shine within the Hospitality and Culinary industry. When and how did the le Grand Diplôme adventure begin? The adventure began thanks to my mother. In my family, we are entrepreneurs in the hospitality and culinary world, and she always dreamt of opening a small restaurant. Her dream became mine and I started my apprenticeship in a variety of restaurants as a helper and commissary cook until I eventually found myself working at the world renowned Mandarin Oriental Hotel, at their signature restaurant, The Tivoli. At this grand establishment, I went from commis entremetier, to poissonier, then rôtissier and eventually became one of the sauciers of the restaurant. During those formative years in the hotel, I met internationally renowned Chefs who worked for Michelin Stared restaurants and Relais & Châteaux properties. The majority of them advised me to study at Le Cordon Bleu, in order to learn the correct way to to do things in a kitchen, and become a proper Chef. Et voilà! The rest was history. Could you describe your new life in Philippines? I’m not beginning a new life but mainly having a new and different perspective on it. As the adventure continues, there is only evolution and discovery. Cooking is a part of my life and it should be shared and enjoyed with others. As my late mother used to say: listen to your heart, it will never mislead you. My plan is simple: to be sustainable and generate happiness through cooking for my staff and me.